We have mobile and truss LED Screens available for hire for your ANZAC Day event. Hosting an event at your venue and looking for an LED Screen to broadcast to your audience, then look no further. Oi-LED has a range of mobile and truss screens perfect for your next event. Hi Quality LED rental screens available for your next event. Want a permanent LED sign? Give us a call today! Have a product launch coming up, then why not feature it one of our LED screens. Oi-LED can customise screen configurations to best compliment your activation. Custom LED screen solutions for your business. Have a product or sale you would like to promote? Hire one of our prortible advertising screens today. Enhance your next charity event and create that extra atmosphere and excitement with one of our LED screens. Events Screens – LED Advertising Screens – Entertainment – Digital Signage – LED Billboards – Retail – Corporate – Education – LED Scoreboards. 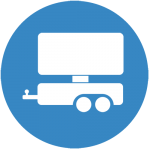 See our range of trailer or truss LED big screens for hire. Customised LED screen & LED signage solutions for any outdoor or indoor application. Oi LED has over 6 years’ experience in delivering LED screen solutions to the event industry. We understand the precision and urgency required with event schedules and guarantee to make our clients experience as stress free as possible. With a list of purpose built, meticulously maintained inventory, Oi LED delivers sleek, professional and reliable big screen solutions for any event. To reserve your LED event screen for an upcoming event or get an obligation free quote please use the ‘Book Now’ button below. Attract Attention – Communicate – Sell… that’s what outdoor advertising does. There’s more competition than ever for attention so only the best advertising signage works. Permanent or temporary LED advertising screens are growing in popularity because they work! Roadside LED adverting signs are a cost effective medium to reach thousands of prospective customers. LED screen advertising delivers high impact, dynamic messaging with the flexibility to update content immediately. Oi LED has a range of high quality portable advertising solutions for hire or sale. Contact us today for an obligation free audit and quote. 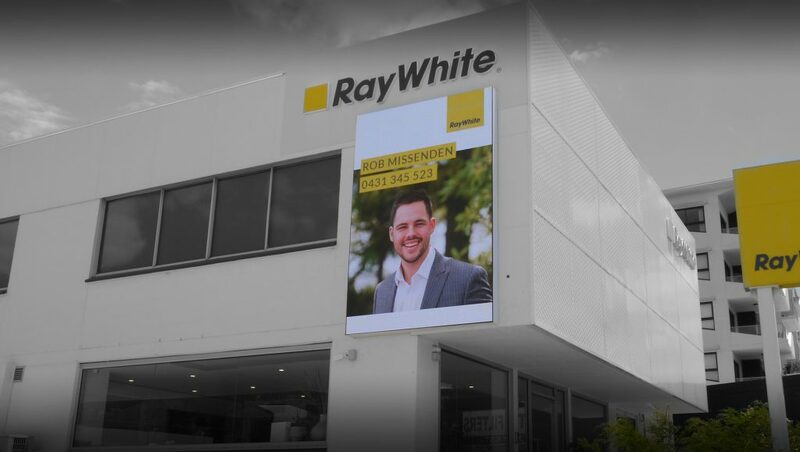 Oi LED has an expanding portfolio of customised LED screen & LED signage installations from Brisbane to Cairns. Many years of research and investing in our own LED rental products has given us extensive knowledge which guarantees you will get a quality LED screen solution that performs. We’ll guide you through the process of permits, product selection, fabrication, installation, content management & maintenance. There are many variables to consider when investing in LED screens & LED signage, matching LED product to the application is paramount, we’ll make sure you get it right first time. Outdoor Intelligence commenced trading Jan 2012, our focus was Outdoor LED screen hire for events. Whilst LED event screens remain a pillar of the business, our offering has broadened to include LED advertising screens for hire and the permanent installation of LED Signs & LED Screens. To reflect the broader scope of the business we have re-branded in July 2018 to Oi LED Screens. Our unwavering commitment to quality LED products and innovative solutions has rewarded us with a loyal client base. Researching the latest LED technologies & product developments is a never ending passion for us, because we invest our own capital in LED rental screens you can be assured the LED products we sell & install are tried & tested. We have the privileged of working with great clients, see what some of them have to say. Excellent service by Rod and his team at Oi LED. Rod provided us with various options to suit our needs, and delivered an efficient and prompt service on the day of our event. Completely professional, made things easy. Would recommend Oi LED to others, and would definitely use them again! Thanks guys! Outstanding quality and service, helped me find exactly what I was looking for even though I had no idea about LED screens! Would definitely use them again. Beyond exceptional quality and service! Rod has provided us with exceptional service and always works with us and offers solutions to suit our events. Him and his team are always great on site and their level of service is unmatched. We look forward to working with them in the future! How can our LED screen experts assist you?